thelondoncoincompany has no other items for sale. 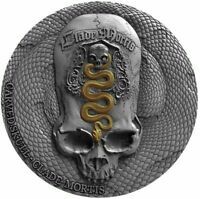 2018 1000 Francs Cameroon CARVED SKULL III Clade Mortis Bones 1 Oz Silver Coin. 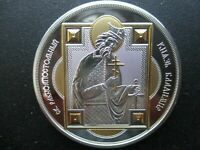 2017 1 Oz Silver $2 Fiji EARTHQUAKE Cataclysms High Relief Coin. MONGOLIA 2016 1000 Togrog GENGHIS KHAN Chinghis Chinggis Khaan 1 Oz Silver Coin. Fiji 2012 NEFERTITI Egyptian Queen Nofretete $1 Silver Proof Coin. MINT! 2013 Fiji $10 GILSON OPAL GEMSTONE Year Of The SNAKE 1 Oz Silver Coin. 2015 Palau $5 Marine Life Protection RAINBOW OF THE SEA PEARL 1 Oz Silver Coin. Any item won in our Ebay Auction or as a Buy It Now Item is the price of the item + any shipping costs which include, Postage, Packaging and Insurance. 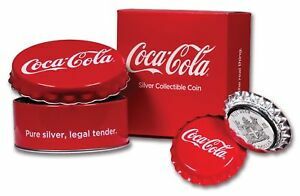 Any customer bidding or buying an item from The London Coin Company is obliged to pay for the item within 3 days of buying or winning the item. Customers should satisfy themselves that any item choice made is suitable for their intended purpose or use. We pride ourselves on good customer service but in the rare event that you have a problem with your item please contact us and we'll be happy to help. Any customers that we notice abusing our Feedback, or any of our Auction or Buy It Now Items will have their bids cancelled and/or will be blocked from doing business with us in the future. Any bidder who makes a bid on any of our items and makes a mistake, it is the bidders responsibility to use the Ebay tools that are in place to cancel there bids as quickly as possible and if we see excessive cancelled bids or abusing our Auctions the buyer might be blocked from bidding on our items in the future as it effects our auctions and can affect other bidders. From time to time there may be information in our Ebay store that contains inaccuracies or errors that may relate to product descriptions, price and availability. We reserve the right to correct or change any inaccuracies at any time without prior notice (Including after an item has been bought as a buy it now). We apologize for any inconvenience this may cause you but errors do occur from time to time. By Bidding in our Ebay Auctions or buying one of our Buy It Now items you agree to our Terms and Conditions and the Shipping and Insurance costs outlined by The London Coin Company Ltd. For UK and International Customers looking to purchase more than one item, please purchase your items and wait for us to invoice you with our special multiple shipping discount or email us once you have finished bidding and await a discounted invoice as all items will be shipped together. For UK Customers we charge the highest priced shipping cost on the first item and then 50% discount on any additional's which is normally between £1.99-£4.99 per additional item depending on the delivery service shown the value and weight and for International Customers we charge the highest priced shipping cost on the first item and then £4.99-£9.99 per additional item depending on delivery shown, the value, weight and country your situated. Please email us when your ready for us to send a Multiple Shipping invoice. As The London Coin Company Certifies and Grades coins in numbers, the coin you will receive might have a different Certificate Number than shown as we will have more than one in stock but we Guarantee that you will receive a coin from the Grading Company mentioned in the Grade specified. All our Certified and Graded coins are Guaranteed Genuine as we are an official PCGS Authorised Dealer. No returns will be accepted for coins which have been Certified and Graded by PCGS or NGC as the Grading company guarantee the coins themselves. Your item/s are normally shipped within a few days of receiving cleared payment unless a Pre-Issue is mentioned. If delivery of your order is Urgent, please contact us PRIOR to purchase and we will try our best to accommodate your request. All our orders are dispatched between Monday to Friday (except public holidays). We ship using Royal Mail 1st Class Recorded for low value orders which takes between 1-3 days for Royal Mail to deliver and for high value orders we use Special Delivery which depending in which part of the country you are situated takes 1-2 days to be delivered. We use Royal Mail International Signed For, Tracked or a Courier like Fedex, UPS, TNT or DHL depending on the country your situated, weight, value and quantity of items purchased. For customers in Europe items normally take 7-10 working days to receive depending on how fast their country Custom clears the item and delivers it and for customers in USA, Canada, Middle East and the Far East it normally take between 14-28 working days to receive depending on how fast their country takes to Custom clear the item and deliver it. Any item which is shipped to the buyer and not picked up by the buyer and then returned back to us, shipping costs will need to be repaid by the buyer to ship the item again or the price of the item minus any costs can be refunded. It is the buyers responsibility to check that they can legally import the items they purchase from us, as we take no responsibility for the customs regulations of other countries and items being seized by customs.